Thursday’s football match at Bolshaya Sportivnaya Arena pits together Sheriff and Qarabag, the two teams who are eager to book their place in the Europa League group stages. 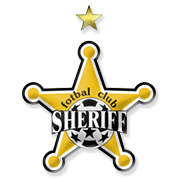 Sheriff set up a meeting with Qarabag by beating Valur of Iceland in the two-legged tie, but it has to be noted that they eliminate the Icelanders on away goal rule. The Moldavian champions face a difficult task in Thursday’s football match against Qarabag and we do not believe that there is a big value in betting on the hosts. Qarabag were producing fine performances in the Champions League group stages last term, with the team holding star-studded to a draw on two occasions and, no doubt, they are eager to give fans yet another reason for celebration. The Azeri side are not regarded as good travelers, but we predict that they are going to score a vital away goal in Thursday’s clash. Veaceslav Posmac is a Moldavian footballer who was born in Chisinau on November 7, 1990. The right-footed defender currently plays for Sheriff Tiraspol as a centre-back, but he started his senior career at Stantul Gheorghe. It has to be noted that he played for his home-town club Dacia Chisinau from 2012 to 2017. Veaceslav Posmac made his Sheriff debut on July 9, 2017 in a 5-0 win over Zaria and he did remarkably well to score on his debut. The 188-cm tall defender plays for Moldova as well and he made his debut for the national team in a 2-1 win over Kyrgyzstan on June 14, 2013. Veaceslav Posmac scored his first ever goal for Moldova on January 15, 2014in a 2-1 loss to Norway. The Moldavian defender is very good in the air and despite the fact that his main position is centre-back he often scores goals after set-pieces. Veaceslav Posmac wears No. 90 on his shirt. Over the years Qarabag have established themselves as one of the best teams in Azerbaijan. The club was founded in 1951 and they were playing under the name of Mehsul back then. Qarabag won their first trophy in the national championship in 1993, beating Khazar Sumgayit in the title game. In the 2015/2016 season they won their fourth domestic trophy, with the team finishing the season 22 points clear of second-placed Zira. Qarabag participated in the 2016/2017 Champions League qualifiers, but they were more than unfortunate to suffer a loss to Viktoria Plzen in the two-legged tie. The Azerbaijan outfit were beaten by the Czechs on away goal rule and, as a result, they made it to the Europa League playoffs. Thanks to a win over Goteborg in the double-header Qarabag made it to the knockout stages of the competition. The Horsemen play their home games at Azersun Arena and their home colours are black. Qarabag play their away games in white kits.